Mangaluru, Feb 22, 2015 : The second phase of Pulse Polio programme is being held across the district on February 22, Sunday. 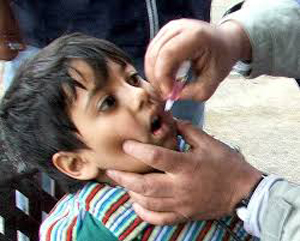 It has been targeted to administer Pulse Polio drops to 1,68,479 children below the age of five years this time. There are a total of 921 booths set up for the purposes while there will be mobile ten mobile booths and 26 booths in airport, railway station, bus stands and shopping malls.